Skin is the single largest organ in the human body. Estimates of the size of the surface area of the skin of an adult male range up to 15,000 sq. inches, or roughly the size of a 9'x12' rug. The average man has approximately ten pounds of skin and the average woman, seven pounds. Skin functions as a bi-directional barrier, meaning that it keeps the good things in and the bad things out. Skin holds in water and protects us from our environment, shielding us from radiation, chemicals, microorganisms, and physical trauma. When our ancestors assumed upright gait, a significant burden was placed upon the skin of the legs and feet. 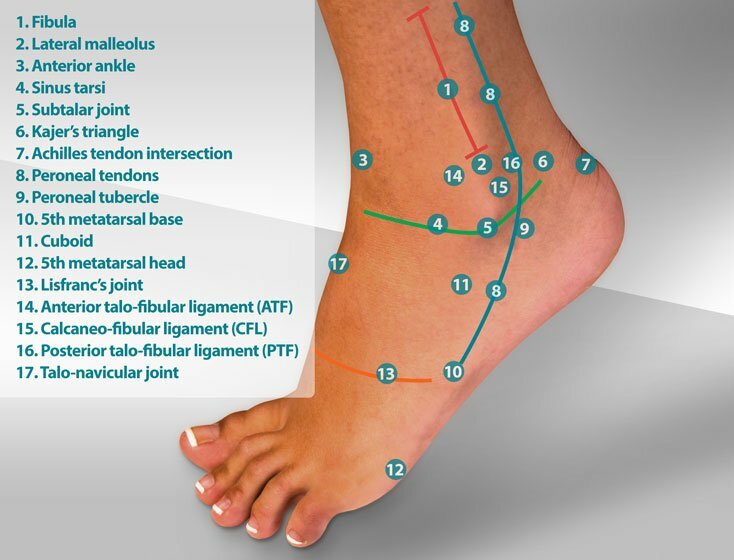 There are a number of unique conditions of the skin that are specific to the feet and legs that are due to weight-bearing and are found nowhere else in the body. 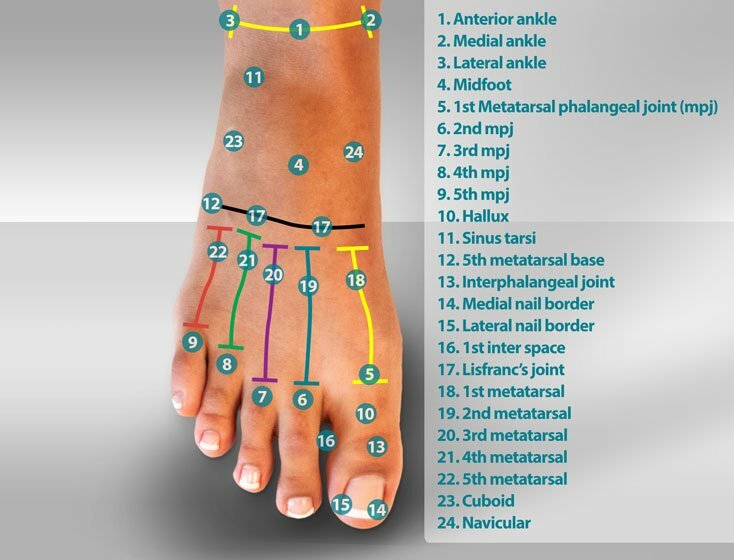 The feet and legs will endure more trauma than any other part of our body, resulting in infections, cuts and scrapes, corns, calluses, etc. The feet are also a common site for thermal injuries such as frostbite. The skin consists of three basic layers: the outer layer or epidermis, the middle layer, or dermis, and the inner layer referred to as hypodermis. Each of these layers provides a specific function and is in a constant state of change. For instance, the epidermis, or outer layer of the skin, is completely replaced once every 28 days. The 28 day turn over is influenced by many factors such as hydration, friction, sun exposure, age, and a host of other environmental issues. 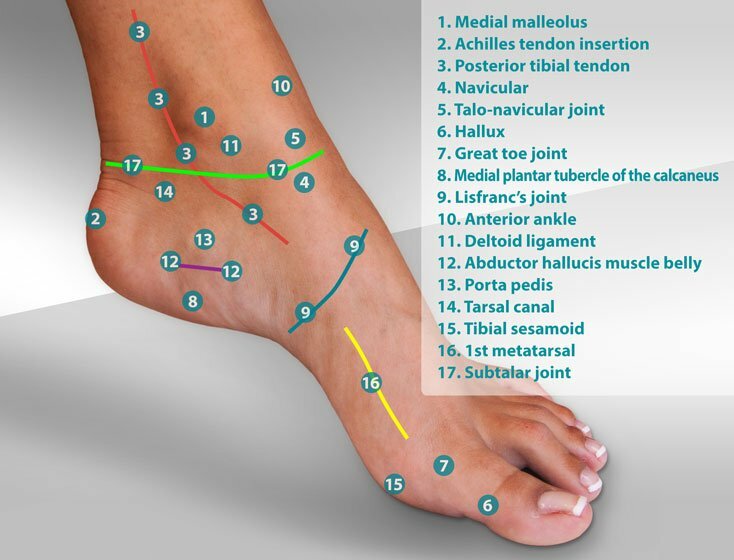 The skin of the foot is unique in many regards. The skin found on the plantar surface (bottom) of the foot, referred to as glabrous skin, is a very thick form of skin. Glabrous skin also contains 4-5 times the normal number of sweat glands and lacks hair follicles and sebaceous glands that would normally lubricate the hair. The skin on the dorsal surface (top) of the foot is also unique and is referred to as hairy skin. This is skin much like what we would see on the majority of the body such as the arms and legs. Healthy fingernail and toenail is an elastic, transparent layer of keratin. It is surrounded on two sides by soft skin referred to as the periungual folds. The base of the nail is called the eponychium and the distal tip of the nail is called the hyponychium. Nail cells are created in a small envelope called the nail matrix. Most recent article update: April 11, 2019. Skin and Nail by Myfootshop.com is licensed under a Creative Commons Attribution-NonCommercial 3.0 Unported License. Natural Moisturizing Callus Butter is specifically formulated for at-home callus removal. Cocoa butter, beeswax, and organic oils work hard to moisturize and soften the toughest calluses on your feet and hands. Great for dry skin and cracked heels, too. Rolls on easily. By Myfootshop.com. One 1 oz. stick/pkg. Natural Wart Remover is our easy, painless, doctor-formulated home remedy for wart removal on hands and feet. Simply apply the salve three times a day until that pesky wart is gone. Designed for quick application that goes on smooth and leaves your skin feeling dry with a refreshing scent. Made from all-natural ingredients. By Myfootshop.com. One 0.2 oz tube/pkg.